Costa Rica’s 49th President, Laura Chinchilla, will address the opening session of ICANN’s public meeting when it convenes in San Jose on Monday, 12 March. Last year President Chinchilla told graduate students at California’s Stanford University that Costa Rica’s plan to install an extensive broadband cabling system would more than double high speed Internet access in Costa Rica from the current 7% to 15% by 2014. "This would make Costa Rica the second most connected country in Latin America," she said. The President said she wants to provide laptops for students in less-developed regions of her country and to open “digital community centers" where everyone would have access to the Internet. President Chinchilla took office in May 2010 after a landslide electoral victory. She is the first woman to be elected President in Costa Rica and was formerly a vice president under her predecessor, Nobel Peace Prize-winner Oscar Arias. 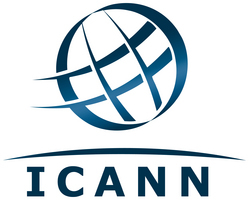 To see a live video stream of the opening session of ICANN's meeting on 12 March, go here: http://costarica43.icann.org/node/2952.